An iPhone 6S Plus with a broken screen can be a complete pain, but you can overcome unsightly smashes and functionality-compromising scratches with this white replacement panel. The replacement for iPhone 6S Plus LCD touch screen digitizer assembly and frame includes everything you need to send your phone's old screen to the tip and put a shiny new panel in its place. So owners of the white iPhone 6S Plus can repair their handset without the costs associated with a repair service. The replacement for iPhone 6S Plus has an undeniably beautiful display that brings apps, games and media content to life with stunning clarity. But it is far from indestructible, with cracks, scratches and full blown smashes often reducing owners to tears. Not every spares supplier will offer such comprehensive cover, so why settle for any less than a totally satisfying customer experience? We would recommend that customers watch a few repair videos before undertaking this repair. Please also ensure you disconnect the battery before undertaking any repair work. As this repair can be difficult, we would recommend that only professionals undertake this work as damaging your phone can be much more costly - also, ensure you do not lose any of the screws by using a screw holder such as the one recommended below! Please get in touch with us here if you would like us to quote you a price for repairing your broken iPhone 6s Plus. · Special tooling is required when disassembling and reassembling the iPhone 6s Plus. Bring the black edition of the iPhone 6S back to a box fresh state with this replacement display kit..
An iPhone 6S with a broken screen can be a complete pain, but you can overcome unsightly smashes and..
Bring the black edition of the iPhone 6S Plus back to a box fresh state with this replacement displa..
Smashed your iPhone 6S LCD screen, good news iParts4u have you covered with this replacement high qu..
Smashed your iPhone 6S Plus LCD screen, good news iParts4u have you covered with this replacement hi..
Smashed your iPhone 6S LCD screen? Good news iParts4u have you covered with this replacement high qu..
Make the bad memories of a smashed iPhone screen disappear with this assembly. The replacement for i..
Tough and transparent, this High Quality tempered glass screen protector made by iParts4u is designe.. 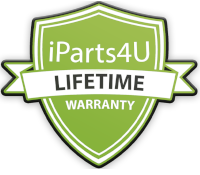 Enhanced Quality iPhone 6S Screen Replacement - Black iParts4u enhanced high quality LCDs ar..
Buy Enhanced Quality iPhone 6S LCD Screen in White Our high quality enhanced LCD screens are..
Purchase an Enhanced Quality iPhone 6S Plus Screen in Black Our latest enhanced version of i..